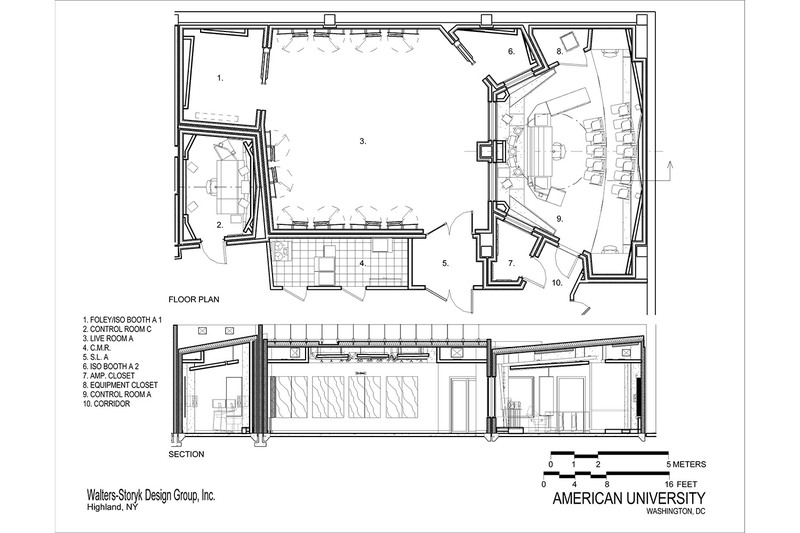 American University’s rapidly expanding Audio Technology Program committed close to $2 million to a capital improvement program for the design and construction of a new recording/teaching facility. Completed in January, 2011, the 1910 sq. ft. complex features a 700 sq. 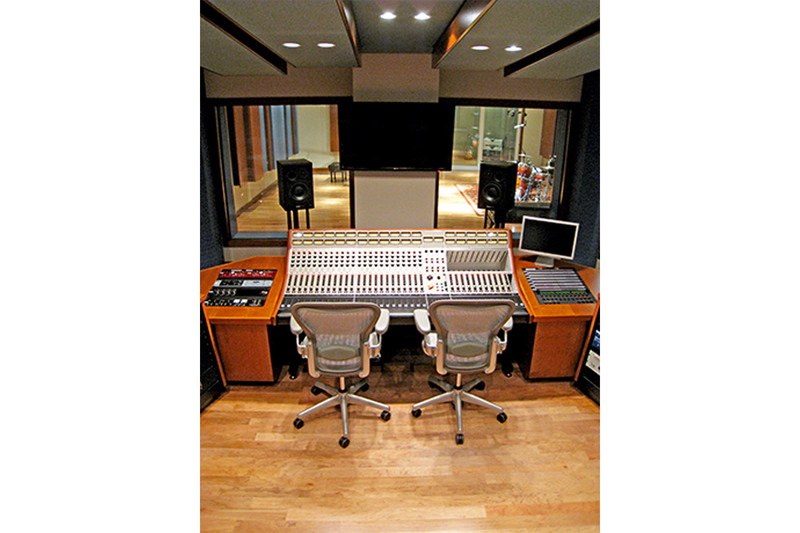 ft. central live room which is linked to three separate control rooms. 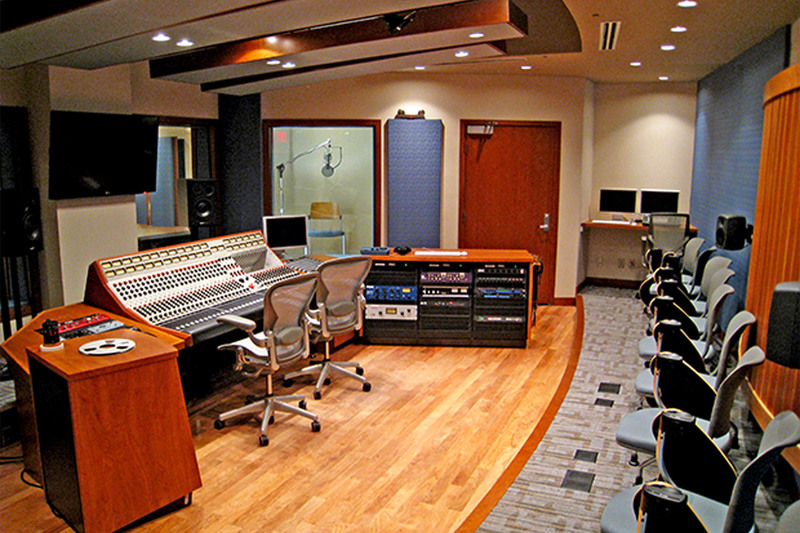 A combination of vintage and state-of-the art technology provides students with a ‘best of both worlds’ learning environment. The 420 sq. 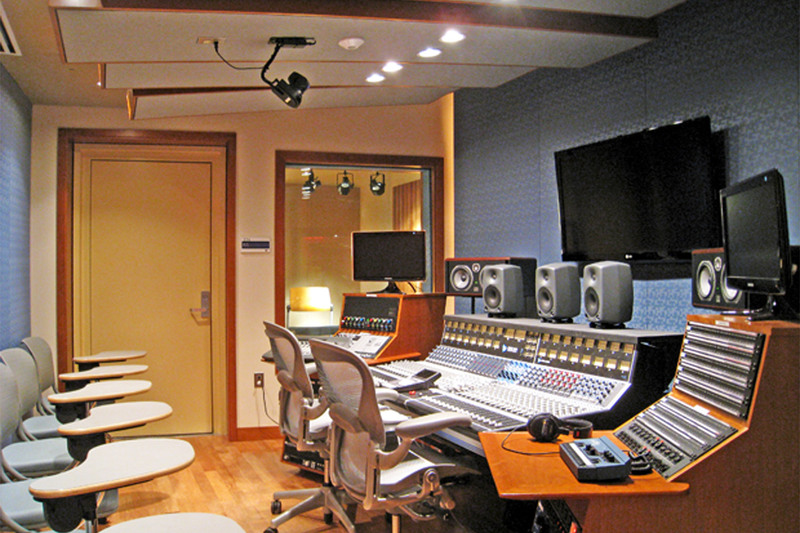 ft Control Room A production lab features two large windows into the live room to maintain artist/engineer/producer contact, and seating for a dozen students at the rear wall. 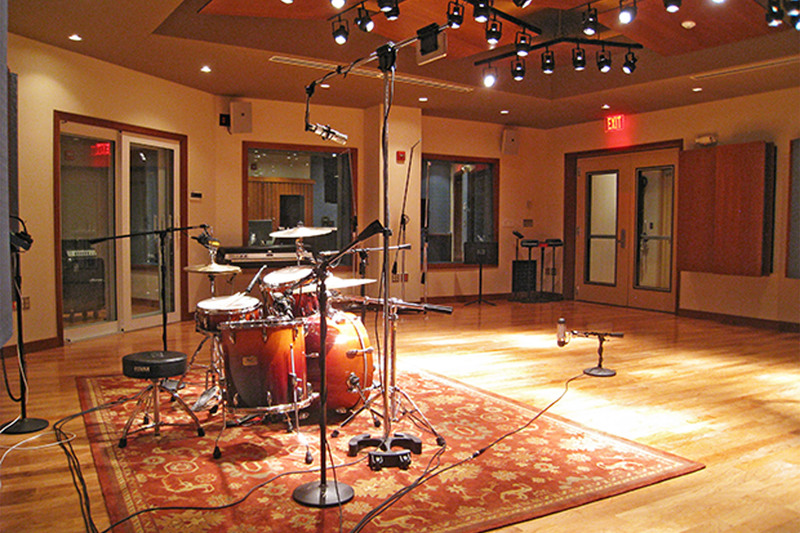 It is focused on live recording techniques; Control Room B, a 160 sq. 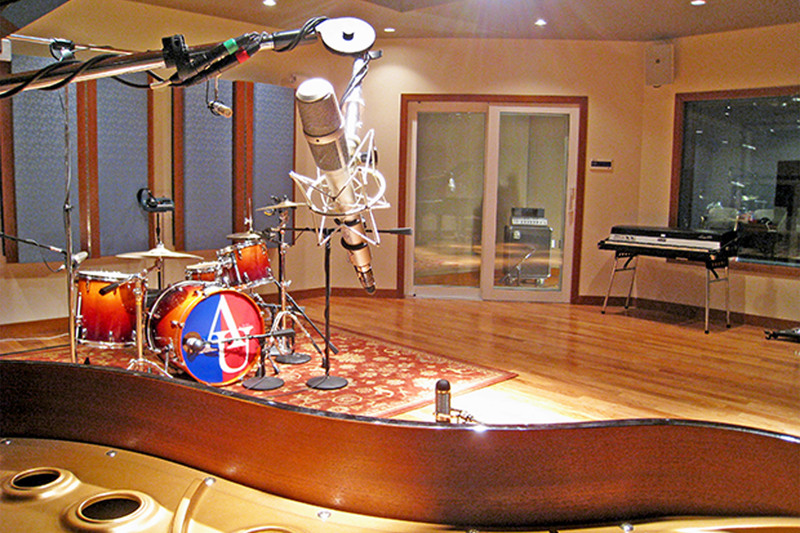 ft. mixing suite also covers overdubbing and recording techniques. Control C, (100 sq. 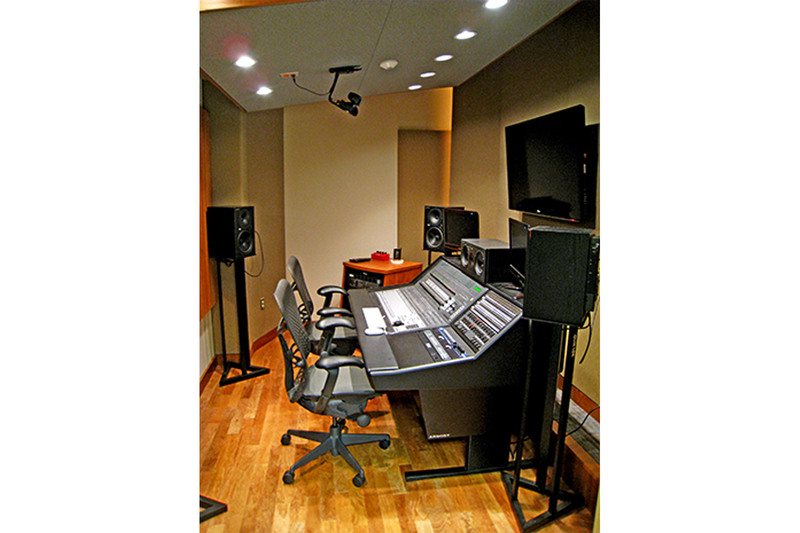 ft.) digital lab, is dedicated to Film Audio and Pro Tools certification. 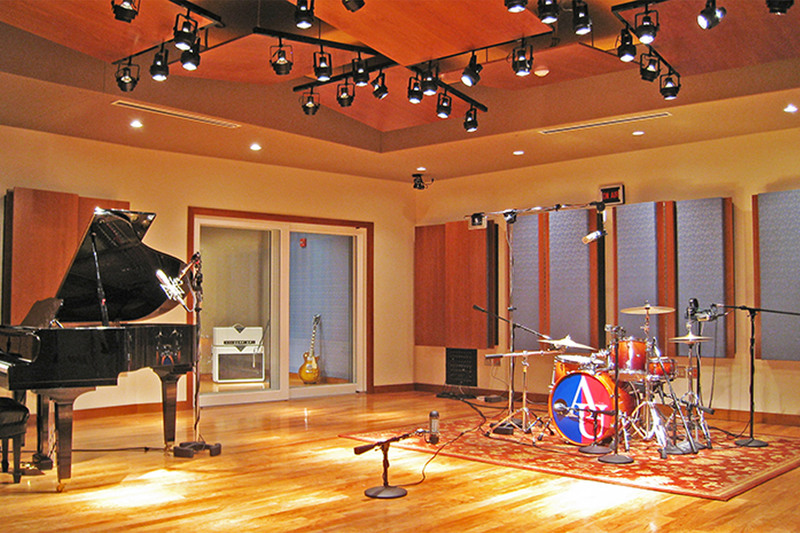 All three control rooms feature complete floating floor/room-within-room construction. 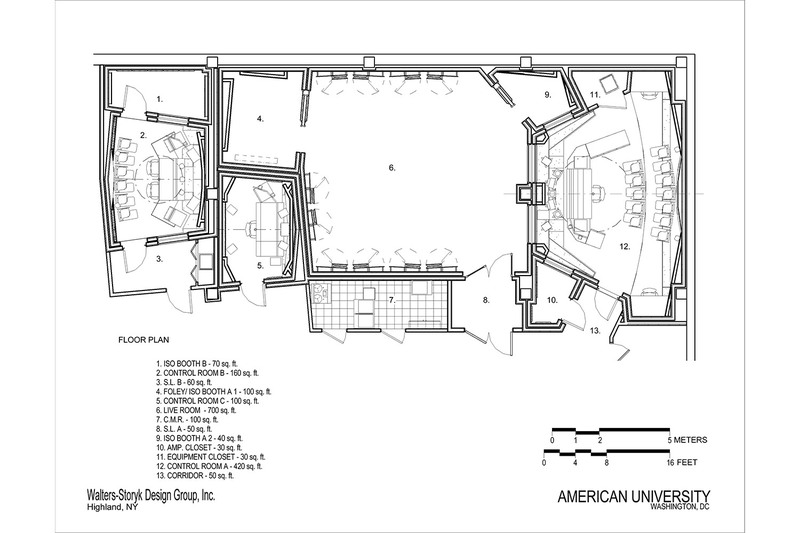 The complex includes three spacious Iso booths A, 100 sq. ft. + Folely/Iso; 40 sq. ft. A2; and, a 70 sq. 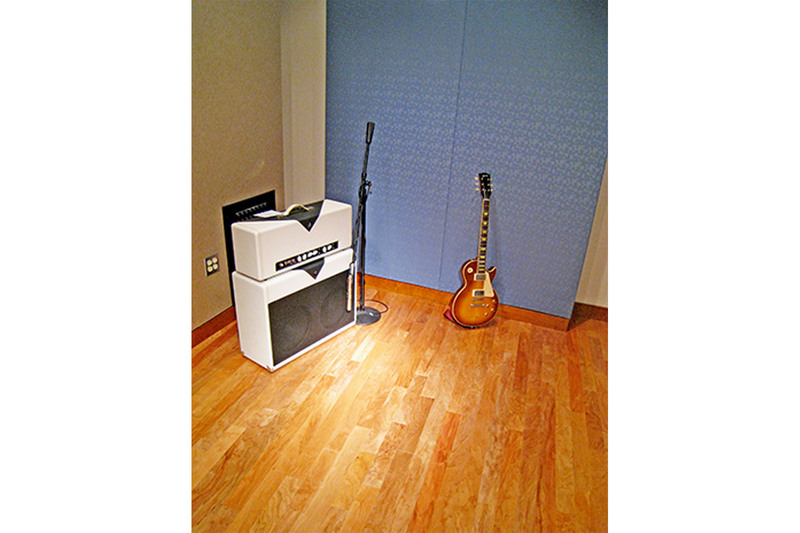 ft. B Iso booth, as well as equipment closets and related support areas. 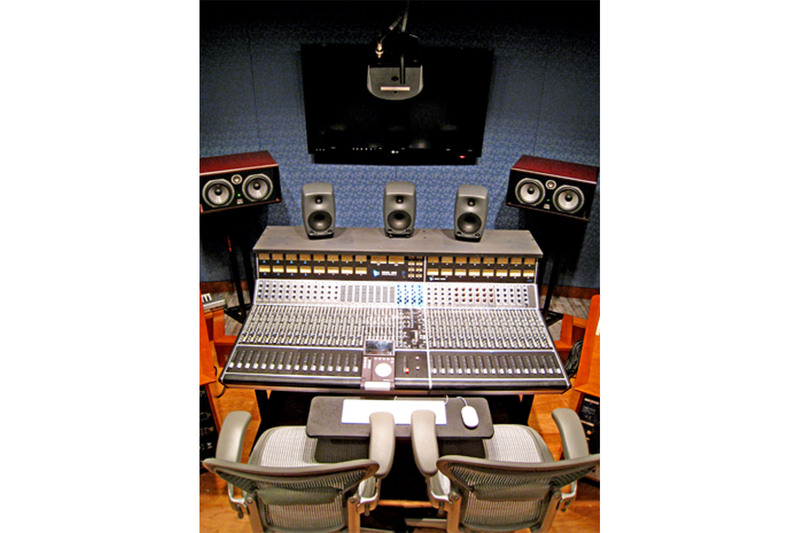 · Extensive plug-in library including isotope RX2, Avid DINR, Waves Restoration for noise reduction; Waves 360 Surround, Sound Design Diamond and Mercury bundles. 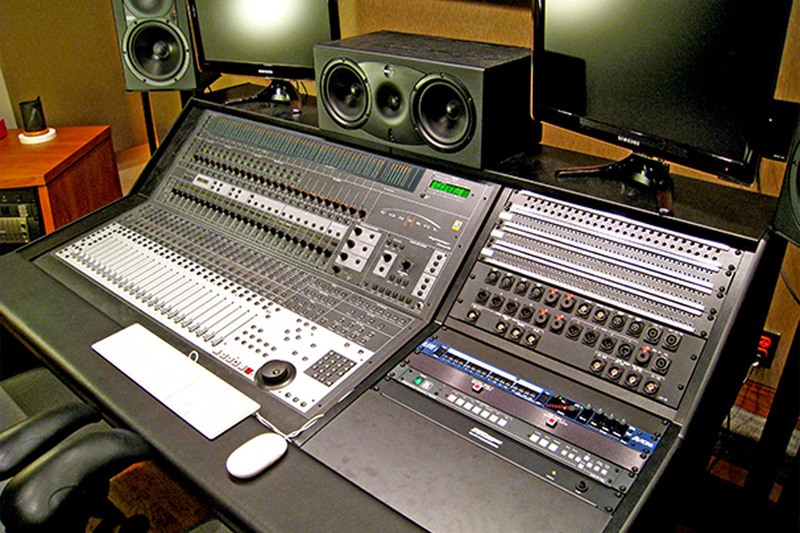 · All computers are outfitted with Avid bundles.